This meatloaf is moist and flavorful—and the secret ingredient is sour cream along with ground beef and ground pork. 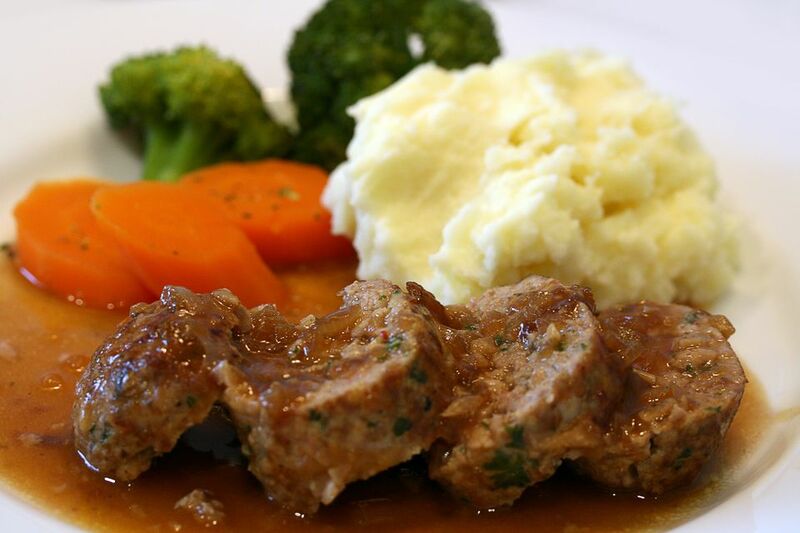 Along with the ground meat, shredded carrots, cracker crumbs add to the texture and flavor of the meatloaf. Feel free to use all ground beef, a combination of ground turkey and some ground pork or a completely different ratio depending on your tastes. The loaf is seasoned with salt and pepper, but seasoned salt can be used to replace them, or add a salt-free herb seasoning to the meatloaf. Chili powder would make an excellent addition to the meatloaf, or even use a few teaspoons of taco seasoning and omit the salt. In a large mixing bowl, combine all ingredients. Mix well with your hands until well combined. Pat the meat mixture into a 9x5x3-inch loaf pan. Bake the meatloaf in the preheated oven for about 1 1/2 hours. Drain off fat and transfer to serving platter.